Although quite a few fans of the Hitman video games were upset by Danish developer IO Interactive’s decision to release their Hitman 2016 game episodically, in the end this turned out to be an inspired choice, as last year’s Hitman reboot sure is one of the best games in the series to date. Plus getting the latest Hitman game in episodic slices sure helped make the most of each episode, with last April’s Sapienza mission being arguably the highlight of the lot. And the game’s latest Elusive Target can also be found in Sapienza, although you will need access to the bonus mission “The Icon” in order to play this mission (those who bought the entire first season digitally last year or the boxed Complete First Season will have access to The Icon mission, while those who bought the episodes individually will not). Elusive Target 24 is one Bartholomew Argus, who’s known as “The Bad Boy”. This is a shady guy involved in drug trafficking and weapons dealing as you can see in the briefing video above. So you will have to hunt down this bad boy in Sapienza at nighttime in order to deal some indiscriminate justice, then. And as was the case with previous Elusive Targets, you’ll only get one shot at this, as there won’t be a second chance if you are killed during the mission. 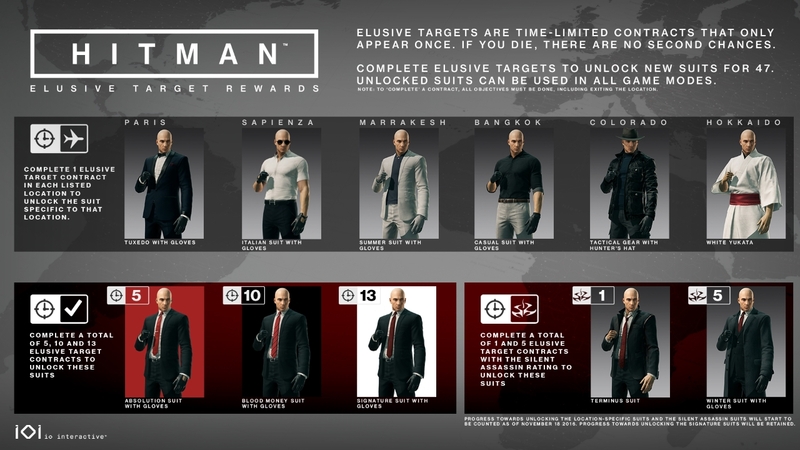 But still, this is certainly worth a try as you’ll be able to unlock the Italian suit with gloves for Agent 47 and other outfits depending on how many Elusive Targets you’ve taken out to date (see image below). Also, IO Interactive has revealed the May content schedule for the game on their website. 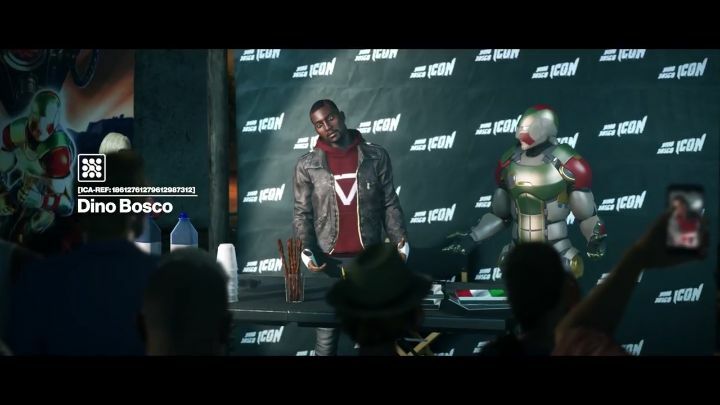 In addition to Elusive Target 24, players will also have access to two new escalation contracts in the game, one set in Sapienza and another in Marrakesh, plus several player-made contracts are also included in this update. Note: Hitman’s Elusive Target 24 will be available in the game for 11 days (until May 16).